Some fast paced hip hop or hard rock to get you hype for the big fight? Check. Mellow jazz or classical music to wind down on a beautiful summer evening? Check. Music from those fabulous teen years when you’re feeling a bit nostalgic? Check. Changing up your brain waves to shift your consciousness? Uh, say what? Yup, you heard right. You have the power to shift your mind into any state you desire. With practice this can become almost second nature. You intuitively use this when choosing music based on how you feel, or how you’d like to feel. Since you’re already so good at this, let’s go a bit deeper. I’d like to introduce the concept of entrainment. 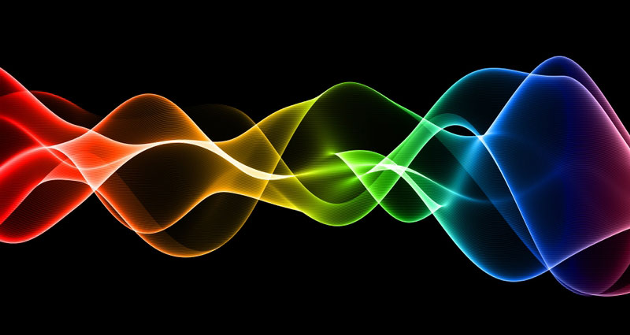 Laws of physics dictate that we naturally become in tune with the vibrations around us. This is also something you do automatically. When you’re at a game or sports event or concert where everyone is excited, your heart and breathing rate speed up to match those around you, even if you’re not particularly excited. When you are around people who are relaxed and calm, your heart naturally beats more slowly, your breathing deepens and brainwaves slow down. I’ll bet you can think of some other examples of this as well. Ever make an effort to get around some hard-working people so that you can become more productive? Gamma (Greatest frequency, 25-100 Hz)—These are the highest frequency brainwaves. When your brain is “firing on all cylinders”, making crazy connections between multiple areas of the brain, left and right sides are in sync, and you are super-focused, you brain is in gamma. Scientists have also found this state in people who meditate on the higher spiritual states such as compassion and appreciation. Beta (Brainiac, 13-40 Hz)—We spend the most time here, in active thought and wakefulness. These are relatively fast brain waves that allow us to focus, solve problems, analyze data and make decisions. This is good, but also requires balance with the other states. If you are prone to anxiety, you may spend too much time in beta. Alpha (A-game, 8-12 Hz)—Frequent meditators are often in alpha. Also, if you are a creative or have keen intuition, you tend to rest here. Athletes who find themselves “in the zone” during an intense workout or competition are in alpha. Being in a state of alpha has also been shown to help with depression, anxiety, PTSD, and chronic pain. I use a device in my clinic to help patients entrain their brainwaves to this state of consciousness. Listening to music at about 60 beats per minute such as some slow reggae will absolutely take you there as well! Theta (Transition or Twilight, 3-8 Hz)—This is the beautiful state of mind we reach when going from awake to asleep, or asleep to awake. You are sort of suspended in twilight, and everything has a dream-like quality. I practice extending this period of time in the morning to catch some great insights from a place of deeper wisdom. Delta (Deepest, 0.5-3 Hz)—These are the slowest brainwaves and are present when we are in a deep, sound sleep. This period of extreme restfulness is also very restorative and facilitates tremendous mental and physical healing and regeneration. While you are on your way to becoming an expert at changing your brainwave patterns at will, you can use entrainment to help. There are so many resources that will allow you to listen to specifically designed sounds, helping your brain to fall right in step with your chosen frequency. * I will mention a couple here. There’s an app for android or apple called binaural beats that allows you to tune up or down depending on which level of consciousness you’d like to experience. I suggest gradual tuning. Of course, YouTube has a ton of free videos as well. There are many good ones. I like this channel. Have fun with this, and as always, let me know what you think! *If you have a seizure disorder or an irregular heartbeat there is a theoretical risk that these binaural sounds are not safe for you. Feel free to email me for details. As always, do not use deeply relaxing sounds while driving.